The Audi RS4 Avant is a wolf in family car clothing. 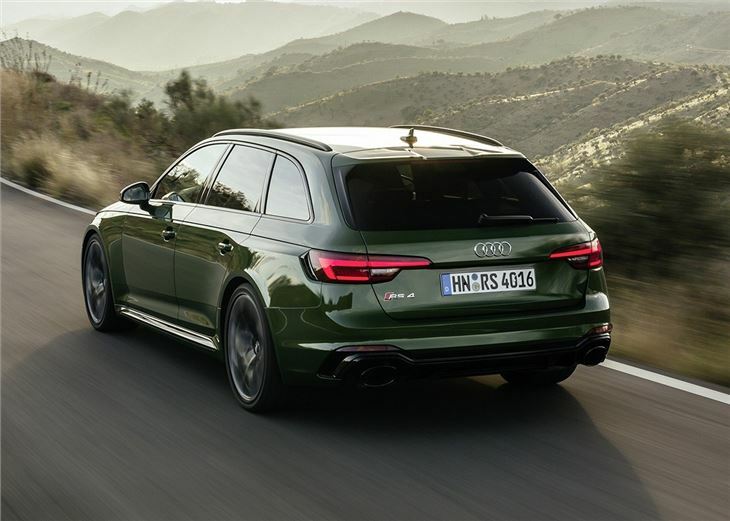 Brutally quick yet highly sophisticated, the 174mph estate pairs practicality with sports car performance, while also addressing some of its predecessor’s shortcomings. It is still not as much fun as the Mercedes-AMG C63, but few will be able to dispute the Audi's technical brilliance. Audi has shaken up the formula for the 2018 Audi RS4 Avant. 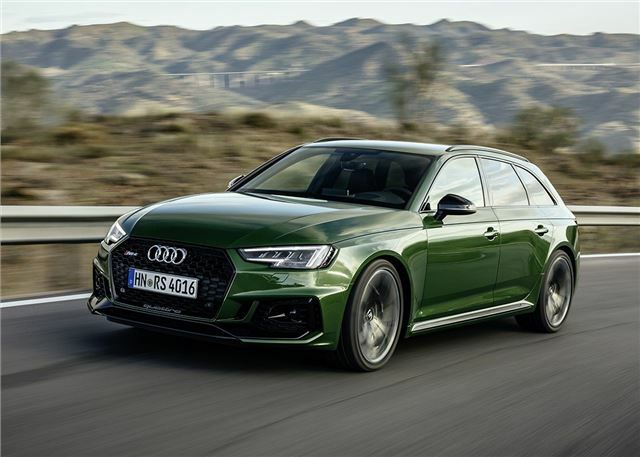 The old naturally aspirated V8 is ditched in favour of a new, lighter turbocharged V6, yet despite the downsize, the RS4 Avant doesn't lose any of its potency with the biturbo 2.9-litre V6 producing the same the 450PS as the old 4.2-litre V8. Peak torque has also been boosted to 600Nm - 50Nm more than the BMW M3. To be honest, going fast in a straight line was never a problem for the old RS4 Avant. The V8 was a rocket of an engine and the 0-62mph could be completed in less than five seconds. However, when it came to handling, things were a little more mixed. The four-wheel drive system and V8 engine, for example, added considerable weight to the car and gave it a nose-heavy feel that made it a little cumbersome when pushed hard on fast, tight roads. 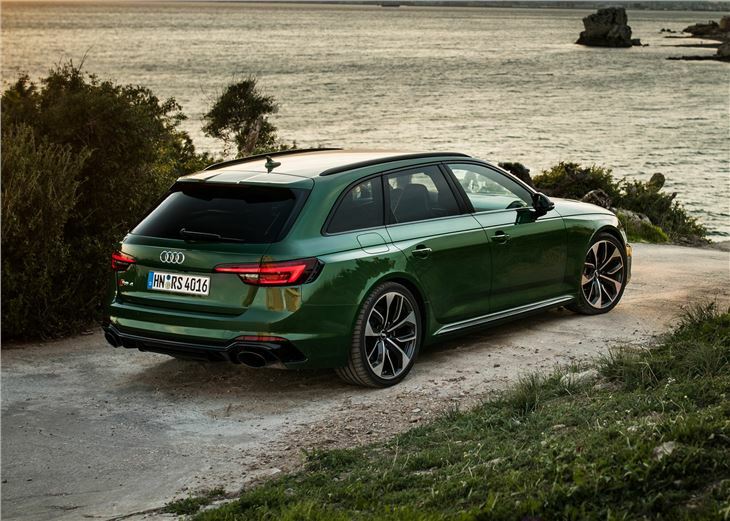 With this in mind, it’s perhaps understandable that Audi’s resisted the urge to simply open the taps and inject even more gargantuan horsepower into the RS4 Avant. Instead, focus has been shifted to shedding weight, with the new version weighing in at 1715kg - 80kg less than before. More importantly, 31kg has been cut from the engine, while fuel economy - another issue for the old car - has been improved by 21 per cent to an official 32.1mpg. That said, you wouldn’t think the RS4 Avant was lighter or more efficient to look at it in the metal. It's huge and cuts an imposing stance on the road. 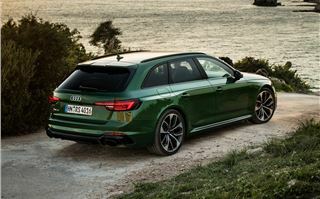 In fact, at 2022mm wide, the RS4 Avant is broader than the RS6 and some 30mm wider than the C63 AMG estate. It feels big on the road, especially at urban speeds, with the wide body requiring your full attention when it comes to narrow city streets and passing traffic. The ride quality is hard too, which means the RS4 Avant is seldom a relaxing thing to drive at 30 to 40mph. 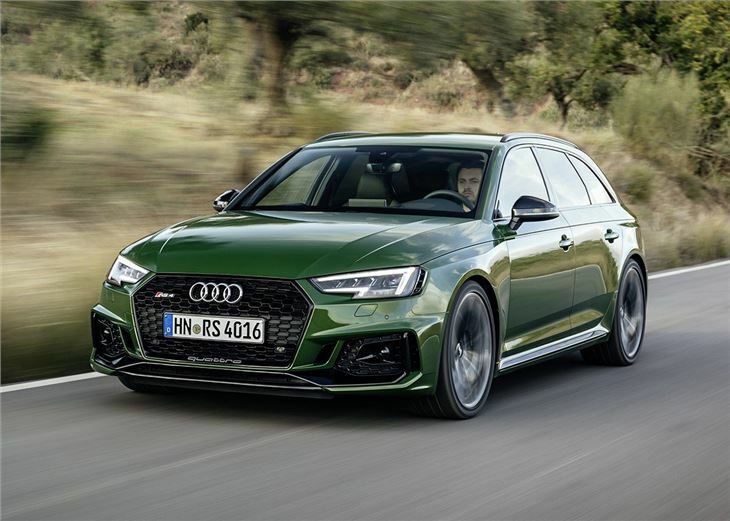 A full complement of cameras and sensors are available to reduce the anxiety, but the RS4 Avant will be a snug fit for even the largest of multi-story car parks. As a family car, the RS4 Avant is hard to fault. The interior is first class and has plenty of space. Four large adults will fit with ease and there's no shortage of head or leg room in the front or back. There a 505-litre boot, while the rear seats can be individually folded to make the most of the car’s maximum 1510 litres of storage. Despite its awkward and bumpy nature, the RS4 Avant is a peach to drive on the open road. The huge exhaust system exhales a deep growl as you explore the throttle responses and the 0-62mph dash takes a mere 4.1 seconds. The twin-turbocharged V6 is every inch as good as the old V8 and has a similar, rewarding high revving nature, with 450PS provided from 5700rpm up to 6700rpm. The four-wheel drive system - as you would expect - is one of the most sophisticated of any high performance car. Mechanical grip levels are stupendously high and this gives a vice-like grip of the road. 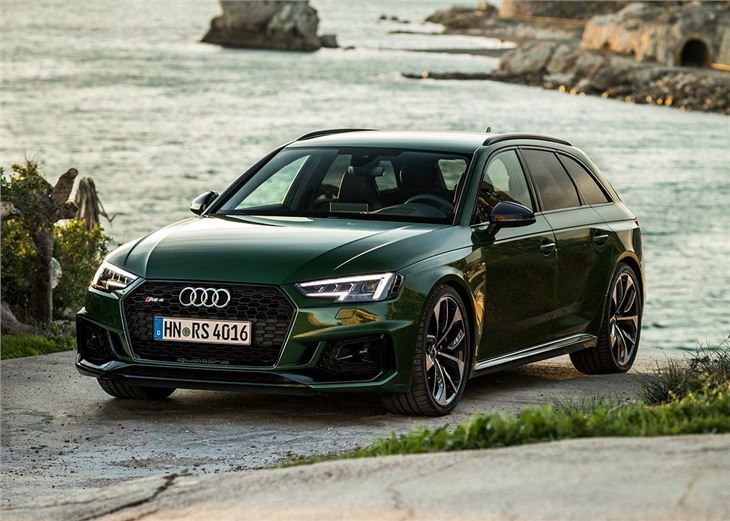 The eight-speed automatic gearbox also blends seamlessly with the high performance powertrain and there's a choice of driving modes to open up - or rein in - the RS4’s chest thumping acceleration. The handling clearly benefits from the reduction of chassis weight. The new car feels more nimble on its feet and much more willing to turn into tight corners, while carrying significant pace. It’s easy to drive too, which means you simply point it at the apex and hang on as the four-wheel drive system does its business. As a piece of technology, the RS4 Avant is highly accomplished. But, while brilliant at whizzing the world by your window, it seldom feels as fun or as involving as the Mercedes-AMG C63 Estate. 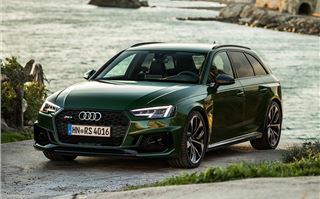 This isn’t necessary a heavy handed criticism - the RS4 Avant is hugely capable - but not everyone will embrace its clinical and clean approach to high octane driving. It might not get top trumps for tail-wagging entertainment, but the RS4 Avant will appeal to Audi enthusiasts. 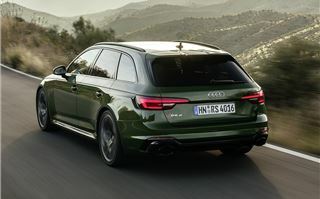 It adds new levels of polish and refinement to the high-speed family car segment and, in many ways, is the most accomplished fast estate to emerge from Audi Sport. However, with a new RS6 on the way for 2018, we wager that its hold of this title will be short lived. 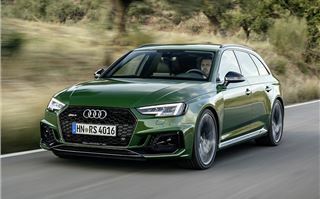 The Audi RS4 Avant is on sale now, with deliveries starting in February.